A few years ago, Rochelle McCollum was working as a manager of a dental office in El Monte, making good money and living in a nice home with her six kids. Then she got the news: her mother had breast cancer. So Rochelle left her job and home and moved her family into her mothers’ one-bedroom apartment, where she could help nurse her mother back to health. A year later, her mother’s luck turned: she got well enough to go back to work. But luck for Rochelle ran out when the landlord decided there were too many people living in the apartment. Her two eldest boys moved in with friends. But Rochelle and her four youngest children – ages 1, 4, 11 and 16 – were out in the streets. With only the roof of her Honda Accord separating her family from the harsh, cold rains of winter, Rochelle would drive to a park at night and wait for her children to fall asleep in the car – two in the backseat, one in the passenger seat and the baby on her chest. Only then would she allow herself to cry. Even the occasional welfare check brought anxiety. Fast forward to 2017, as 36-year-old Rochelle wiped a tear from her eye while recounting her family’s story of homelessness. She sat with her baby, Thomas, who slept comfortably on her living room couch in her new home at Marv’s Place, an elegant, Mediterranean-style apartment complex recently built in Pasadena that offers permanent supportive housing to formerly homeless families. Seven of the 20 units were set aside for families with children age 5 and younger through funding from First 5 LA, which also awarded a $200,000 grant over three years to Union Station Homeless Services for onsite supportive services at Marv’s Place to help residents rebuild their lives. It was Union Station Homeless Services that provided emergency shelter to Rochelle’s family last summer and referred them to Marv’s Place, where they moved in last fall. Now, Rochelle and her four youngest children have the resources to help them thrive again through the onsite supportive services that include care coordination and outreach, meals, referrals to medical and mental health services and employment development. While there is no dollar amount that can express the value her new home has to Rochelle and her kids, projects like Marv’s Place reflect the inherent value of partnership at First 5 LA. 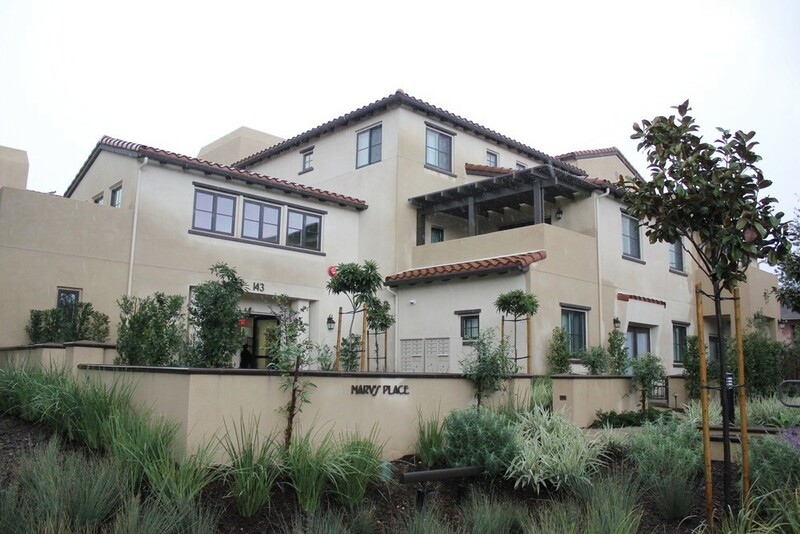 The Pasadena-based housing complex began as a collaboration between Union Station Homeless Services and National CORE, one of the nation’s largest nonprofit community builders, with the $12.2 million construction funding from low income tax credits, city of Pasadena, Los Angeles County and First 5 LA’s Permanent Supportive Housing (PSH) Initiative. In collaboration with the Community Development Commission of the County of Los Angeles as the initiative contractor, First 5 LA allocated $35 million in 2012 to provide rental assistance and capital development to help fund construction of 86 new units for families with children 5 and under at five new housing complexes throughout Los Angeles County. While Marv’s Place marked the final construction project under PSH, the lessons learned illustrated the power of partnership. According to a 2015 evaluation of the PSH initiative, agencies that collaborated with and leveraged resources with other agencies reported stronger outcomes for their clients. These learnings reflect how First 5 LA exercises its value of collaboration: even though direct efforts may end, First 5 LA is committed to sharing insights and knowledge gained through initiatives like PSH and others to inform its future efforts and those of other advocates who may continue the work. “We hope this work will be used as important learning for agents of scale – that is, city, county, state and federal agencies – to make a broader impact in providing permanent supportive housing, temporary rental assistance, and related services, for families with children aged prenatal to 5 that are homeless or at-risk of homelessness in Los Angeles County,” First 5 LA Director of Measurement, Learning and Evaluation Armando Jimenez said of the PSH evaluation. 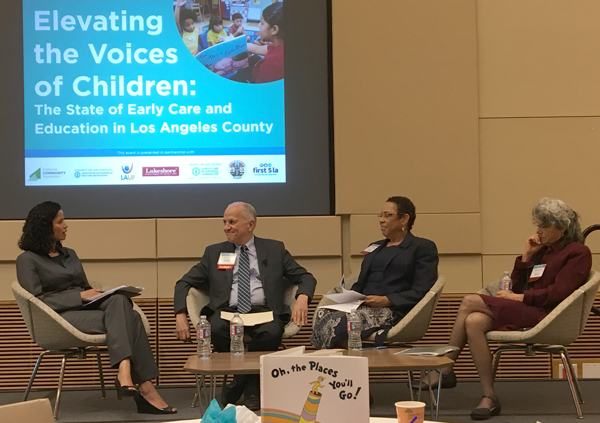 As just one of many organizations in the county that is working to improve the lives of children and families, First 5 LA has elevated its efforts to develop partnerships under its 2015-2020 Strategic Plan. Only by working together with other philanthropic organizations, child advocates, businesses and government agencies can First 5 LA help change the policies and effect systems change. These changes in turn improve the effectiveness, coordination, and quality of the services and supports families need to help their children succeed in L.A. County now – and for generations to come. While First 5 LA’s partnership endeavors vary in design across the county, the focus is the same: giving kids the best start. These efforts range from funding groundbreaking projects like PSH to supporting important research in early care and education; hosting convenings with other child advocates on key health issues; developing advocacy strategies to influence policymakers; collaborating on strategies to effect systems change in the county that improve the lives of young children; enhancing resources for expecting or new parents; and advancing media campaigns that help strengthen families across the county. A little more than a year and a half into its new, five-year Strategic Plan, First 5 LA is already moving forward on a number of these collaborative efforts. The following is an update on significant new developments from these partnerships and a glimpse of things to come. In a campaign that promotes early brain and language development for young children, First 5 LA and Too Small to Fail this week are announcing a strategic partnership that will bring the national “Talking is Teaching: Talk, Read, Sing” campaign to the families of L.A. County through First 5 LA’s Welcome Baby program, a family support and parent coaching initiative for new and expecting parents. As part of the Welcome Baby program, new parents and caregivers are receiving high quality Talking is Teaching materials during home visits — including a CD, Sesame Street Family Resource guide and receiving blanket — with prompts that encourage parents to talk, read, and sing with their children every day starting at birth. These materials supplement the existing Welcome Baby programming provided by parent coaches through pregnancy and the first nine months of their baby’s life. The American Academy of Pediatrics (AAP) recommends pediatric providers advise parents of young children that reading aloud and talking about pictures and words in age-appropriate books can strengthen language skills, literacy development and parent-child relationships. Building on its multiyear national partnership with Univision called “Pequeños y Valiosos” (Small and Valuable), Too Small to Fail is also working with Univision’s affiliate television and radio stations in Los Angeles to provide in-depth news and information to its audience on early education and parenting. “Pequeños y Valiosos” content sponsored by First 5 LA will begin in April and run through November 2017. In a new report that attracted widespread media attention, an analysis of resources and gaps in the early care and education system within L.A. County revealed that parents with two children can pay nearly half their wages for child care even as licensed early care and education centers and family child care homes are only able to serve 1 in 7 working parents with infants and toddlers. These findings released last week are part of The State of Early Care and Education in Los Angeles County: Los Angeles County Child Care Planning Committee 2017 Needs Assessment, which was produced by Los Angeles County Child Care Planning Committee, the Los Angeles County Office for the Advancement of Early Care and Education and First 5 LA. The report identified a persistent and severe lack of affordable, high quality early care and education for infants, toddlers and school-aged children in the county and included recommendations for investment in ECE at the state and federal levels. The Needs Assessment was unveiled last week at a special event at The California Endowment, where speakers included First 5 LA Board Vice Chair Judy Abdo, Child Care Planning Committee Chair Sarah Soriano, First 5 LA Director of Early Care and Education Katie Fallin Kenyon and Long Beach Mayor Robert Garcia, who penned an Op-Ed on the issue for the Long Beach Post. “First 5 LA is proud to be a partner in this study. We will lift up these findings to make the case for the dire need for greater investments in early care and education,” said First 5 LA Vice President of Policy and Strategy Kim Pattillo Brownson, who moderated a panel discussion at the event on how to address quality, workforce development, access and inclusion. Illustrating its commitment to continuously improving how California recruits, retains, supports and compensates quality teachers and caregivers of our youngest children, First 5 LA announced earlier this month that it will extend its strategic partnership with the Child Care Alliance of Los Angeles and continue to support the California Early Care and Education Workforce Registry. 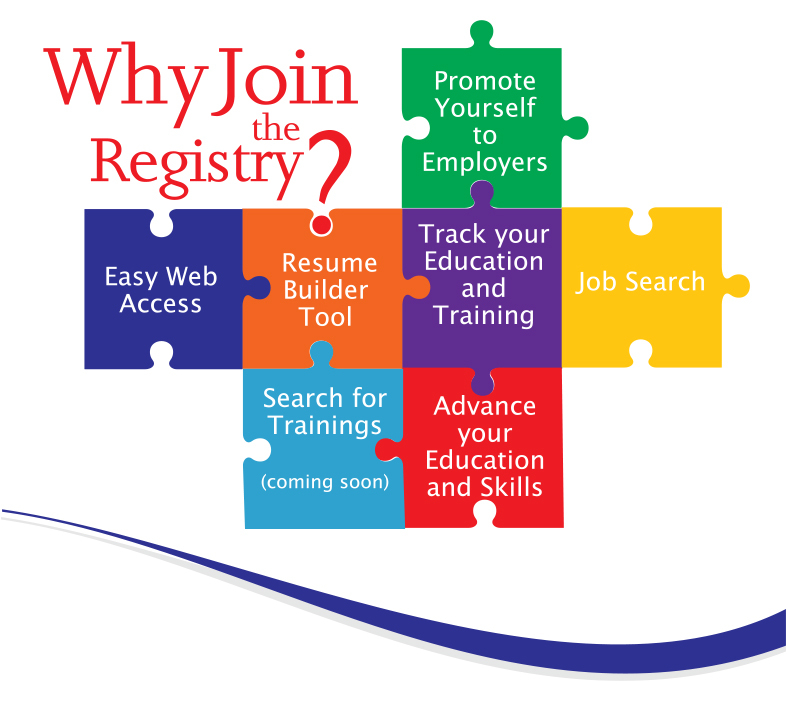 The California Early Care and Education Workforce Registry is a web-based information system that compiles demographic, education, professional development and employment data for early childhood workers. It also serves as a workforce resource by providing access to a calendar for training and other professional development opportunities, as well as a job board and resume-building tools. Through a strategic partnership with funders from multiple philanthropic and government agencies, First 5 LA funds will be leveraged with funding from the San Francisco Office of Early Care and Education (SF OECE) and First 5 Santa Clara County to support Registry operations, data systems development and system alignment. “First 5 LA's ongoing support will help ensure we have a robust Registry effort here in Los Angeles County, and will also make it easier for teachers and program leadership to help advance the implementation of a comprehensive QRIS (Quality Rating and Improvement System), ultimately benefiting young children throughout California,” said Fiona Stewart, program director for the Child Care Alliance of Los Angeles. First 5 LA launched a new strategic partnership in February with Abriendo Puertas/Opening Doors, an evidence-based program that supports parents as their child's first teacher. 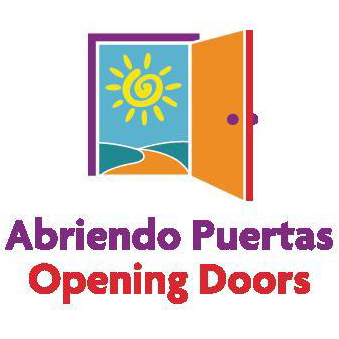 Abriendo Puertas, which means “Opening Doors”, is the nation's first evidence-based comprehensive training program developed and designed by, and for, Latino parents with children ages 0-5. The program strives to improve the lives of Latino children in education, health, and social and emotional well-being. The goal of the program is to significantly increase the number of Latino children in the U.S. that succeed. “With its unique training model and curriculum, Abriendo Puertas is contributing to a strong national momentum around culturally and linguistically responsive parent engagement efforts for Latino and other communities,” said Barbara Andrade DuBransky, First 5 LA's Director of Family Supports. The initial 18-month contract is the first of three phases identified to ultimately implement Abriendo Puertas/Opening Doors in 20 schools and other locations by 2020. During this initial phase, the focus will be on learning and researching in order to understand provider capacity and identify program implementation and best practices. Evidence shows the Abriendo Puertas program having a significant impact on parental involvement in early education. An independent study found that program participants were more likely to read to their children at home and were better able to identify quality child care –both critical to helping children achieve. In the year ahead, First 5 LA is poised to achieve future milestones in each of the following endeavors through its partnership with county government, business, higher education and other child advocates. “The OCP looks forward to continuing and expanding the work we’re doing with First 5 LA to help us plan and implement our course of action on behalf of children and families in L.A. County,” former L.A. County Juvenile Court Presiding Judge Michael Nash, the new Director of the OCP, said recently. 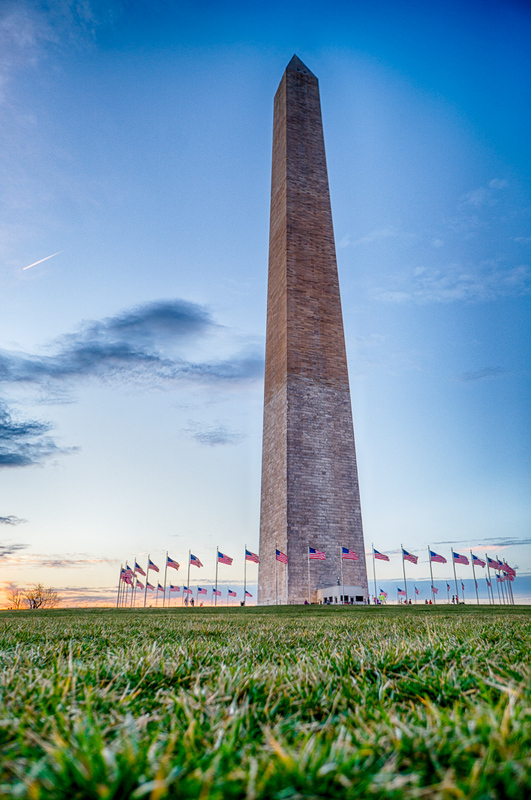 Advocating for Young Children and Families in Washington, D.C. Following the successful sojourn to Sacramento to discuss policy and legislation affecting young children with lawmakers and state government officials as part of the First 5 Association of California Advocacy Day, First 5 LA’s policy and advocacy leaders will venture to the nation’s capital in May to meet with lawmakers there as part of the Los Angeles Area Chamber of Commerce’s annual Access Washington, D.C. event. Emphasizing its commitment to develop and strengthen its external collaboration, First 5 LA has recently launched its new Department of Strategic Partnerships, which is charged with establishing relationships, building partnerships and increasing the number of champions for the prenatal to 5 populations within the three sectors of philanthropy, business and higher education. Unlike many stories that end with a sunset, this one ends with a sunrise. While its Permanent Supportive Housing Initiative has concluded, First 5 LA continues to help homeless families in the community through the power of partnership. “First 5 LA is transitioning from standalone investments in capital projects for homeless families to embedded investments with other partners who are involved in innovative strategic and funding collaboratives,” said First 5 LA Strategic Partnerships manager Sharon Murphy. In collaboration with the Los Angeles County Department of Mental Health, Los Angeles Best Babies Network and USC C.H.A.M.P., First 5 LA staff in February conducted a two-day pilot training at Los Angeles Family Housing in North Hollywood, which has a strong reputation for successful housing placement and case management for homeless families. The training, which strengthens the network of family-focused resources for housing providers and stabilizers serving the county’s homeless families, included presentations on First 5 LA investments in Home Visitation, Parent Child Interaction Therapy and the Children’s Dental Care Program. Meanwhile, Rochelle and her children are living, breathing examples of the power of partnership as they look forward to each sunrise – not from behind the windshield of a car, but from the windows of their new Pasadena home.At the April Board of Commissioners’ Program and Planning Committee meeting, First 5 LA staff will present a proposal on joining a partnership with the Home for Good Funders Collaborative – a community-driven initiative to end homelessness in L.A. County – to promote a trauma-informed approach throughout homeless services systems. This follows the passage this month of Measure H, a quarter-cent L.A. County sales tax to fund anti-homelessness programs that is projected to generate about $355 million annually for 10 years.